This month, we focus on the current state of diplomatic reporting that flows 24/7 out of U.S. missions around the world. At its best, embassy reporting gives policy makers the information, context and analysis they need to shape foreign policy – and can have a substantial impact. The role and function of reporting is shifting in today’s complex world, saturated with vast amounts of information coming from unlimited sources, complicated by concerns about possible future WikiLeaks-type breaches of confidentiality. 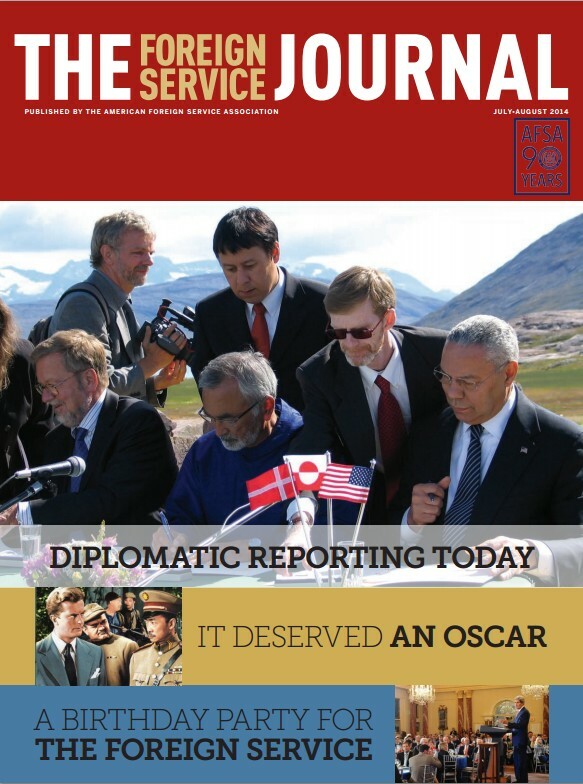 Where does diplomatic reporting fit in today’s landscape? Taking an in-depth look at the challenges of reporting today, a current diplomat and a former high-level intelligence official share insights into the art of political and economic reporting from the viewpoint of both the originator and the consumer; they also discuss how technology and instant communication have complicated the picture. In this month’s feature, Westgate: The Other Nairobi and the Future of Kenya, Joash Omondi discusses the shock and tragedy of the 2013 Westgate Mall terrorist attack, particularly timely given recent attacks in Kenya and relocation of U.S. diplomatic staff. In another piece, Ambassador Dennis Jett speaks out on How to Get Better Ambassadors as the Congressional gridlock on ambassadorial nominations continues. Despite the challenges, reporting from the field—in whatever form it takes—is still the indispensable ingredient of any meaningful foreign policy discussion. While technology enhances brainpower, it is no substitute for the seasoned diplomat’s powers of observation and assessment, argues this veteran consumer of diplomatic reporting. For those of us in the Foreign Service, “State Department File 649” is our cinematic showcase, William Lundigan our star, and Virginia Bruce our Best Actress.